Warm and buttery garlic shrimp topped with a zesty horseradish creole sauce are the star features of this tasty Shrimp Po Boy. I loved this very simple and fast sandwich. It has tons of flavor and it can be made start to finish in 20 minutes. I kept my zesty sauce very light on the creole seasoning as I was serving this to my children. If you like it spicy, feel free to increase the creole seasoning in the sauce. You can even add a sprinkle of additional seasoning to the shrimp as they are cooking in the butter sauce if you'd like. 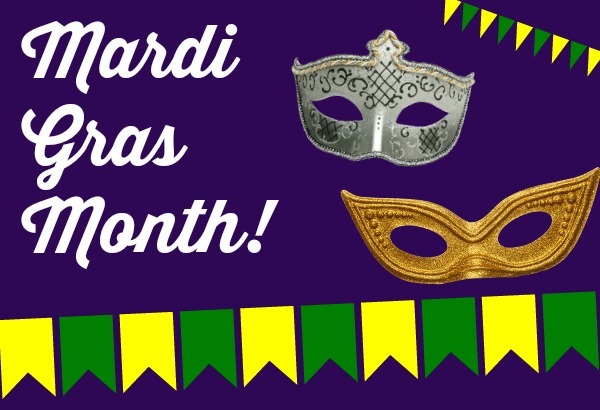 Mardi Gras month is almost at an end. I am bummed but glad we had a successful month with such tasty recipes. To prepare the sauce: Combine all of the sauce ingredients in a small bowl, stir well and chill until ready to use. To prepare the shrimp: In a large skillet over medium heat, add the butter and garlic. After the butter has melted and cooked the garlic for a minute or so, add the shrimp. Stir the melted butter sauce to coat the shrimp and cook until the shrimp are warmed through, about 2 minutes. Be careful not to overcook. If you use raw shrimp you will have to cook more like 4 minutes until pink. Remove from heat when warmed through. Assemble the sandwich: Spread the zesty sauce on one or both sides of the cut french bread loaf. Top with shredded lettuce and the warm shrimp. Top with additional sauce if desired. Oh my goodness, I wish I was having one of these for dinner tonight!